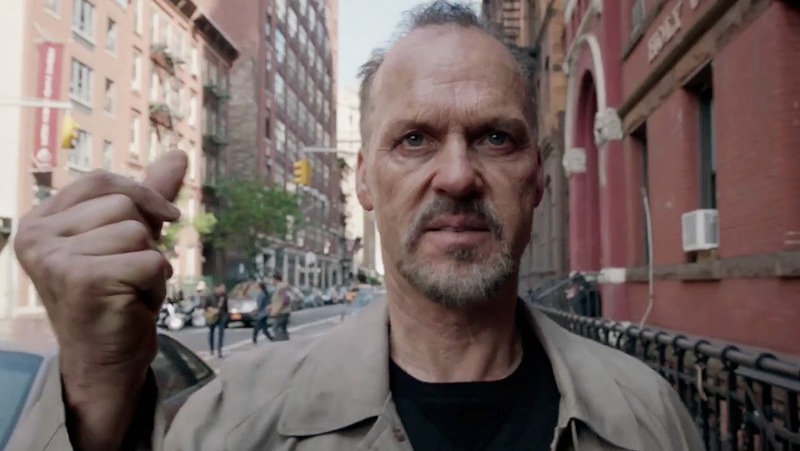 Belated thoughts on the existential majesty of Alejandro Iñárritu’s "Birdman (or, the Unexpected Virtue of Ignorance)"
As we near Top 10 time, I am making an effort to see as many films as possible, and write about as many of them as I can. Today, though, I wanted to take a break from exploring the latest discoveries, and instead look back upon a film I neglected to write about upon its October release. Alejandro González Iñárritu’s Birdman is one of my favorite films of the year, virtually guaranteed a spot amongst my Top 10, and it killed me that I was too busy with other projects to write about the film back when I first saw it. The film is too rich, fascinating, and accomplished to leave untouched, and since the film has been out for a few months now, I have not bothered trying to avoid spoilers in the following essay (an examination of the film’s finale forms part of the discussion). The impressions that follow are based on my notes from October, and while they are a little stream-of-consciousness in structure, I think they represent my experience with the film honestly (a topic we’ll get back to at the end of this piece). That cinematography is amazing, though, and worthy of heavy amounts of discussion. What struck me most is how powerfully Emmanuel Lubezki captures the particulars of human vision. Plenty of filmmakers have tried this, of course – avant-garde artists like Stan Brakhage, or narrative directors like Terence Malik – but those artists are usually going for something special, asking us to ‘see’ in a way we normally don’t in everyday life. Birdman errs closer to the chaotic constancy of human vision, in large part because of the unbroken flow of images. The way the camera moves and swerves, diving and bobbing through the minutiae of the fantastically designed Broadway setting really seems to emulate how we see and process images on a daily basis, taking all this visual data in even as we try to stay focused on one idea or task. It’s an incredible illusion, and I didn’t even notice the effect fully until I walked out of the auditorium, and was moving again, and felt like the film was continuing right along with – like I had picked up where protagonist Riggan Thompson left off. That’s what matters most, of course – the brilliance of this cinematography is that it puts us right in Riggan’s head, immersing us completely in the chaos, confusion, and passion of staging this play. For all the technical trickery that must have gone in to making the single-take illusion work, it’s a really elegant thematic tool; and on a stylistic level, it pays even further dividends. The unbroken editing makes each and every performance feel all the more raw, as if we are watching each actor live, with the unique energy of a stage play. The film refuses the traditional ‘shot-reverse-shot’ mentality of classical editing, in which actors get equal opportunity to present their work, and instead relies on this real-time, ‘single-eye’ way of looking at performance. Action matters much less than reaction, in many moments – an entire monologue can go by with the camera trained on the person listening – and on the whole, I felt these characters and these performances to degrees I normally do not, even in the most expertly acted films. And what performances these are. If this isn’t the year’s best ensemble, it’s pretty damn close, and by my count, there are at least 3 actors – Michael Keaton, Edward Norton, and Emma Stone – doing career-best work here. Each does so by utilizing parts of themselves they have always put into all their work – Keaton’s steely, intense determination, Norton’s overbearing perfectionism, Stone’s adorable intensity – but because of the context, and because of the raw nature of the production, each performer comes to life to degrees they never have before. Keaton, especially, is acting as though he has something to prove, and the energy and passion behind his performance is palpable at every turn. But as I said, Birdman is a film with a lot of depth to it, and what made me fall in love with the film, at first, is how beautifully it encapsulates the rigors of the creative process. I was coming off a long project analyzing cinematic representations of creativity when I saw this film, and Birdman renewed my interest in the topic all over again. 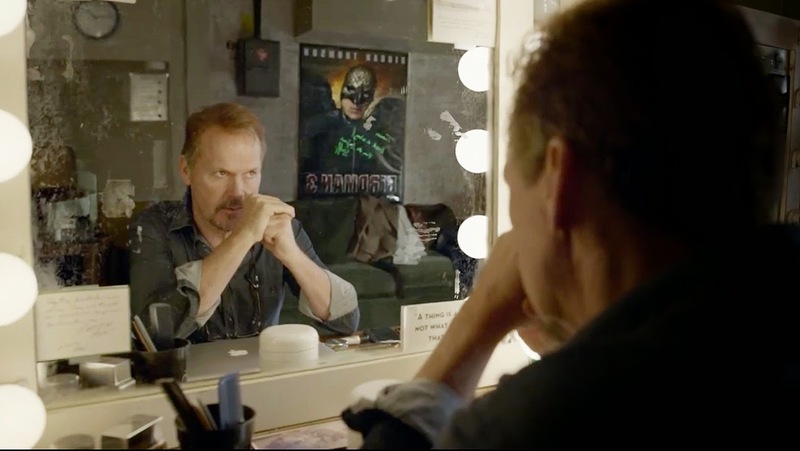 The connection between Keaton/Batman and Riggan/Birdman is an overly reductive reading of the film, I think, because Riggan’s journey to prove his artistic worth – and, just as importantly, his inner-voice tempting him to throw it all away in service of another big paycheck – speaks to the broader push and pull between commercial and personal art in the modern world. Can one have a big commercial hit and feel artistically fulfilled at the same time? It’s a dilemma relevant to contemporary Hollywood, certainly, but that question’s application is so much more vast than the world of actors. It’s something I feel like I struggle with on a daily basis, wondering if I should continue putting work into this website and my writing when I could probably make a lot more money, and feel a lot more secure, channeling my talents in a different direction. But if I did, I would hate myself for it, because whatever it is inside me that pushes me to do what I do would not be satisfied, and that would slowly start tearing me up. By the time we meet Riggan Thompson, he’s nearly been torn to pieces by whatever that mysterious internal force is, and if nothing else, Birdman is an insanely great film about the burning, fiery passion of creativity, and the lengths a person will go to in order to satiate that voice which compels them. 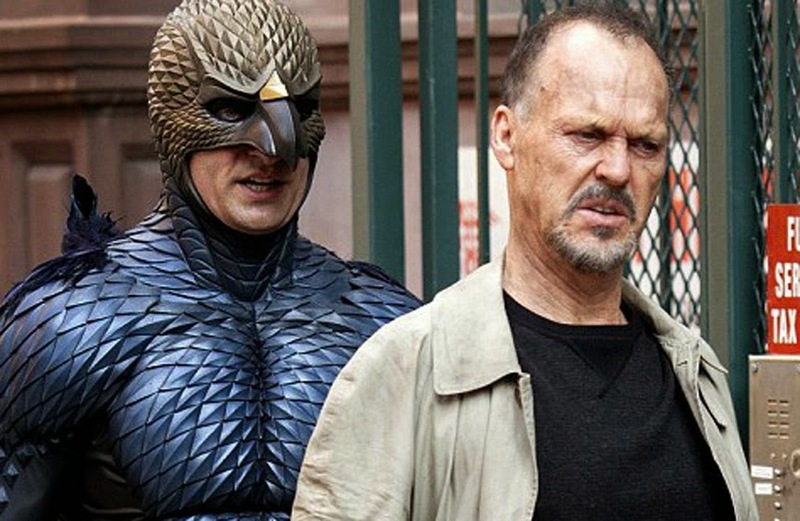 And the more I think on it, the more it strikes me what a great existential drama Birdman is. It’s about failure in all sorts of contexts, professional and personal, that overall lack of fulfillment that comes from compounding grief, regret, and guilt. Riggan has screwed his life up in a number of ways, and the play is as much about proving his worth as a human being as it is making an artistic statement. At its core, Birdman is about that urge to feel certain of one’s own existence, to leave an impact on the world that proves one has a presence beyond the confines of one’s headspace. That’s the function of Riggan’s Birdman alter-ego voice, certainly. I think we may all have that secondary voice in our heads, that sublimated presence which tells us we shall fail, or constantly fills us with doubt. It’s our own force of personality negation, rattling around inside us, hurting us in many ways but primarily reminding us that we are, ultimately, trapped within our own minds and bodies. If one listens to that part of oneself too intently, one may start believing there is nothing more than one’s own vision or thought, no way to leave a mark on anything else. It can be overwhelmingly stifling, a neurotic force of claustrophobia, and in Birdman, Iñárritu posits art and creativity as the ultimate answer to this negative inner force. For Riggan, as for all of us, art is an attempt to channel his voice of doubt somewhere else, somewhere external, to prove that he is, and can be, more than his own interior being. It’s telling that Riggan only hears the Birdman voice when he feels out of control, or vulnerable, or nervous about succeeding – his subconscious affirms those anxieties, telling him to hole back up inside of himself, rather than keep trying to leave a mark. Because creativity is tough, after all, a raw and painful process – but it also what gives us life, and proves that we exist. Here lies another essential dichotomy: to truly live, or to keep coasting on by. It’s part and parcel with the human condition. This is why I ultimately love the film’s mysterious, magical ending. If the film concluded a few minutes earlier, with Riggan shooting himself on stage and being applauded by the audience, it would be a searing, gut-punch of an ending, in which the only way Riggan can prove his own existence is by ending it (and, even then, might only be ‘heard’ in the context of an audience looking for a scandal). By letting Riggan live, and going one step further to end on an ambiguous moment of personal transcendence, Iñárritu allows Riggan to truly prove that he exists, and to the one person that matters most – his daughter. He climbs out that window, and while we will never know what happens next, it clearly isn’t death. If death can be defined as the ‘absence of existence,’ then whatever happens to Riggan – and the look of absolute ecstasy on Emma Stone’s face in that final shot, as she gazes upon whatever her father has become – gives the man the sort of existential fulfillment he has been searching for. Of course we cannot understand it all – this is a personal journey, and it is enough to have been a spectator. That ending is indicative of the film as a whole, for as much as Birdman deals with very heavy, personal issues, there is such an irrepressible joy and vitality to what Iñárritu has created, and I love that. I think there is possibly no greater sign of maturity in a filmmaker than when they can finally make that film that digs deep into whatever issues trouble them – creativity, existence, commerce, etc. – within a context of palpable existential wonder and ecstasy. To be able to explore the most confusing, challenging aspects of this life, while also celebrating what a joy it is to live. It is a balance that can absolutely exist, but which takes an astonishing level of talent, intelligence, and emotional clarity to find. Some filmmakers, even great ones, never quite locate that point of transcendence. Here, Iñárritu has done just that, and it marks him, more so than ever before, as an essential cinematic voice. Can a review have a postscript? There is an elephant in the room with any critical discussion of Birdman, and I do not know where else to confront it – only that I feel compelled to declare that I agree with every single thing the film has to say about critics, in those blistering screeds Riggan hurls at the theatre writer. I don’t think Iñárritu intends the message to apply to all critics – the writer played by Lindsay Duncan is too specific a character type for that – but the film is sharp, biting, and intelligent in saying something that must be said about the state of modern criticism. Like Riggan, I do believe that there is something very self-serving about a lot of contemporary reviewing (for movies, theatre, or other forms of art), where the writer’s ego compels them to use a review to prove a larger point, rather than taking something at face value and experiencing it on honest, personal terms. Those kinds of critics exist. It’s true in film criticism and scholarship equally, in my experience, and in this online era, where anyone with an internet connection can go online and pretend their voice is an important part of the cacophony, I think it’s a bigger problem than ever. I see this sort of thing first-hand all the time – those scholars or critics who dismiss something without seeing it, or for reasons that have nothing to do with the art itself, or to reinforce their own egos and existing patterns of thought. It can manifest itself in a variety of stances, like the attitude that ‘most art is bad,’ and that enjoying something passionately is a ‘low’ sort of reaction; or the belief that anything modern, commercial, or pertaining to a designated ‘inferior’ genre (I see this all the time with superhero films) is automatically ‘unworthy,’ no matter what the text itself may be. I think there are all sorts of ways critics approach art with blinders on, acting like this is all a science, rather than an art form in and of itself, one which demands rich depth of feeling and a great capacity for empathy. There are many wonderful critics out in the world, ones whose work I find essential even (or especially) when I disagree, but there are also plenty of robotic, elitist voices out there, voices that seem to position themselves from an elevated, omniscient platform. I like to think that I try doing something better than that, that I strive to pour myself into my criticism in a way that makes it a creative action – that in some small way, I do put myself on the line when I write. This is something I believe in deeply: That if one is to critique, one has to be prepared to commit oneself the same way an artist does. Criticism can and should be intellectual, informed by theory and knowledge, but it also must be personal, and experiential. A critic is a person, like anyone else, and if their work is to resonate with others, it must exist as an honest extension of their personality and taste. Experiencing art requires many of the same things as making art, like the ability to be emotionally open, receptive to unfamiliar thoughts and sensations. A review must be a reflection of this, for leaving one’s heart and mind exposed upon seeing (and, later, discussing) art is the only way one finds equal footing with the art itself – or, indeed, makes one worthy of judging. Criticism done from a remove, on a purely intellectual or ideological level – or, worse yet, done for its own sake and not in search of deeper exploration – is not just worthless, but damaging. And it is exactly the sort of thing Riggan Thompson, and Iñárritu, are railing against in this film. The points being made are harsh, but absolutely fair. I applaud the film for making the effort. Follow author Jonathan Lack on Twitter @JonathanLack.